It's easy to see a headline like that and burst out into a fit of laughter at how ridiculous it seems to pray to a League of Legends character. However, when you get the full context of what's going on, it makes a little more sense and doesn't seem quite as ridiculous. Shanghaiist did a brief article about an elderly woman who was walking down the street and stopped to kneel down and pray to a life-sized statue. The article notes that she may have mistaken the statue for the legendary Guan Yu, a war hero from the Romance of the Three Kingdoms. 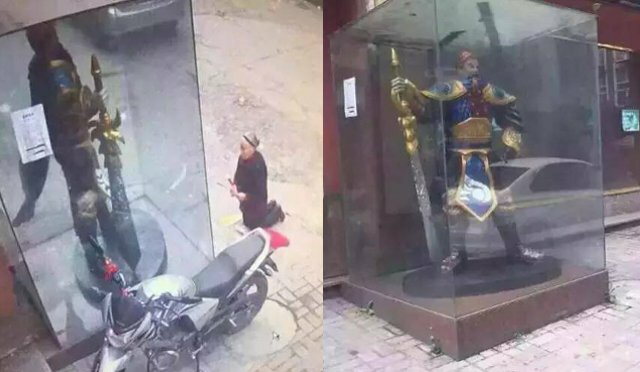 They posted up a comparison image of the statue with the woman praying to it based on a few snap shots that were posted up on the Chinese website, Sina. As you can see, while it's still kind of silly that she would bow down to a character in real life. It's not terribly hard to see why, given that the statue is rather heroic and carries an air of being larger than life. The only thing is... that's not Guan Yu. While many of you familiar with Dynasty Warriors and other fiction based around Romance of the Three Kingdoms probably noticed that it was not the esteemed Chinese general who led many troops to victory during battle, it's easy to assume that it could have been him based on a quick glance. The reality is that the character in question is Garen from League of Legends. You can see a comparison of both characters in the images below. The top image is of Garen from Riot Games' MOBA title, League of Legends, and the bottom image is of Guan Yu from Koei Tecmo and Omega Force's Dynasty Warriors 7. They obviously look nothing alike up close. However, in defense of the elderly woman, it's not hard to see how she could have mistaken the identity of the statute due to her age and the fact that some of the details of said statue may have seemed obscured from behind the glass. If you squint at the original comparison image where she's kneeling in front of Garen, it almost could look a little like Guan Yu... maybe. Anyway, the Shangaiist article notes that people from around the web took pity on the old woman because they assume she may have been in great grief, or was in desperate need of some kind of consolation. Either way, a lot of people felt bad for the woman for whatever plight she may have been going through. It's impossible to get any sort of actual story out of the whole thing in the form of just pictures, but likely won't stop anyone from running wild with ideas. 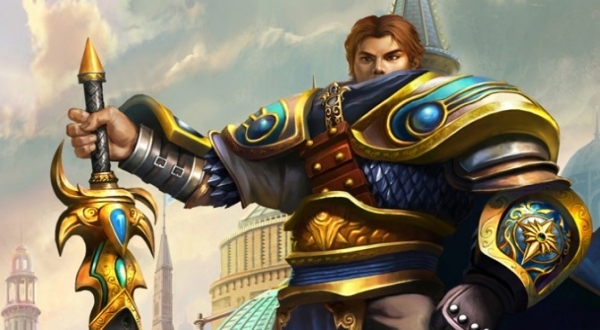 If you didn't know about Garen but you think he looks cool and want to play as him in League of Legends, you can grab a free digital copy of the game from over on the official website. 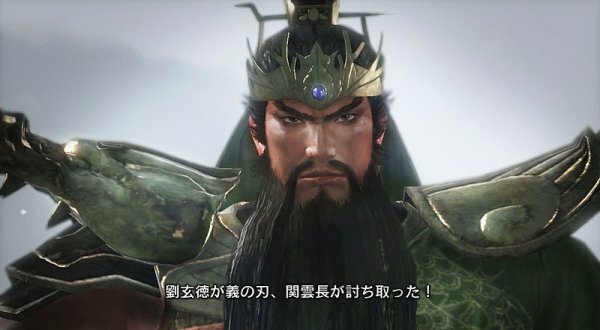 If you think Guan Yu looks cool and want to play as him, there's like a million different Dynasty Warriors games, arcade games, and fighting games where you take on the role of the legendary general.